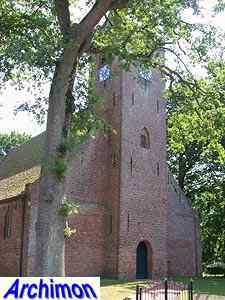 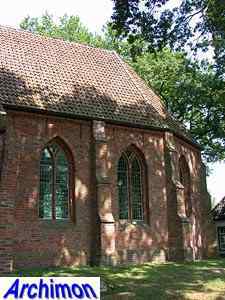 First evidence of a church in Roden is found in a deed dated 1139. 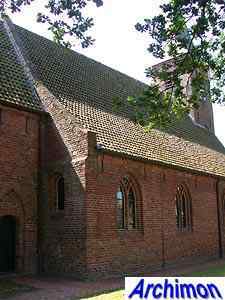 That early church was probably made of wood and has nothing in common with the current building, the oldest part of which is the central aisle of the nave. 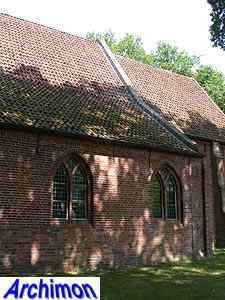 Traces indicate that this aisle originally may have been covered by Romanogothic mellon-vaults. 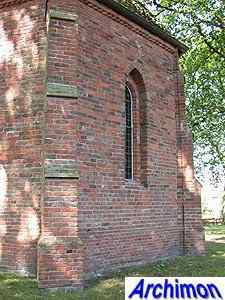 The lack of traces of windows seems to indicate that the church already had side-aisles at that time. 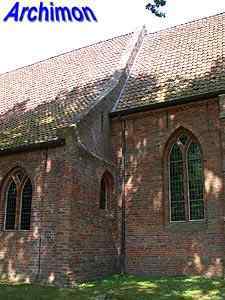 Probably in the 15th century the Gothic choir was built. 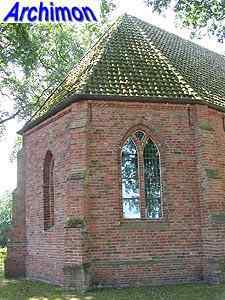 This choir is rather long for such a village church, but it was commissioned, paid for and, until 1817, even owned by a local noble family. 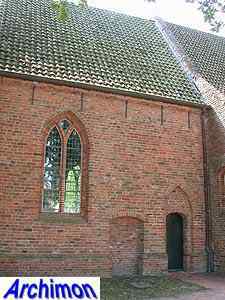 The current side-aisles were built after the choir was finished. 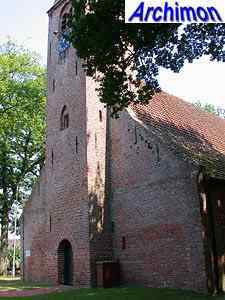 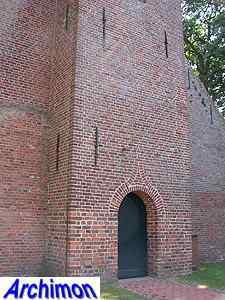 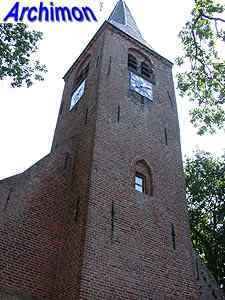 The tower was built in either the 15th or the 16th century. 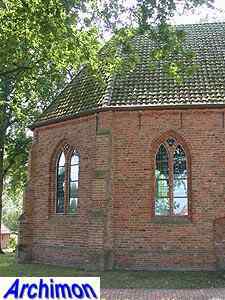 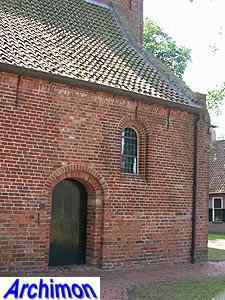 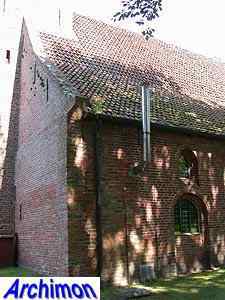 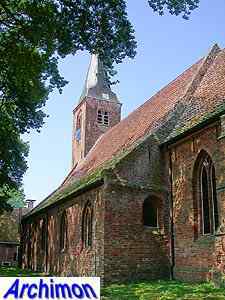 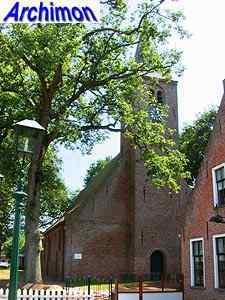 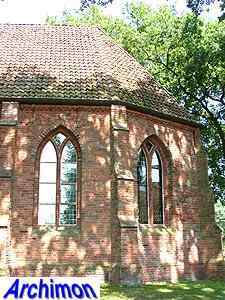 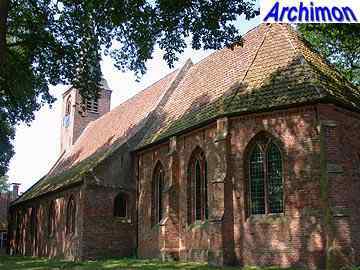 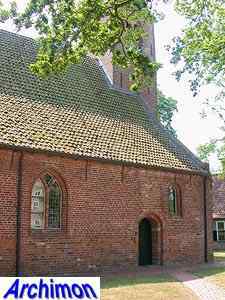 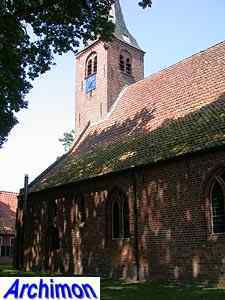 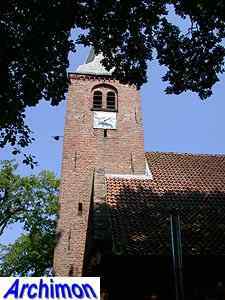 The church was badly damaged during the 80-Years War and was restored using smaller bricks between 1643 and 1663. 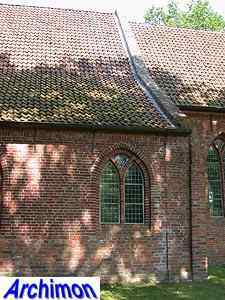 In the same period the main aisle was covered by a brick barrel-vault.